Looking for deals in Nice? Hotel 66 Nice is located in Nice, 200 metres from Nice Train Station and a 20-minute walk from Nice Old Town. The breakfast was excellent, location 10/10 everything was reachable, it was in 2 minute walking distance from the train station, which was perfect! Staff did exceed our expectations, so nice and helpful! Rooms were super clean and comfortable! 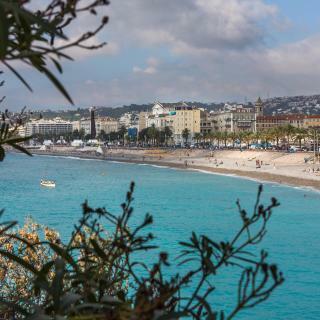 Hotel 64 Nice is located in centre of Nice, just 3 minutes' walk from Nice-Ville Train Station and 15 minutes' walk from the Old Town, the Promenade des Anglais and the beach. Room was refurbished and very clean. Hotel is near the central gare Station. Airport shuttle bus Station in 10 Minute Walking distance. 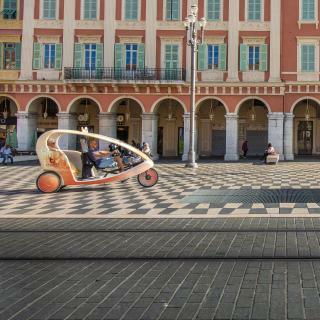 Located in the Palais de Justice square at the entrance to the Old Town, Palais Saleya is a 18th-century building situated in Nice, 7.6 km from Nice Côte d'Azur Airport. Very nice location, very well furnitured, very friendly staff. Like it very much! Located in the centre of Nice, just a 3-minute walk from the Promenade des Anglais, Arome Hotel offers air-conditioned rooms with free WiFi. I absolutely LOVED this hotel!! It's newly renovated from top to bottom and absolutely BEAUTIFUL! So comfortable and chic, really convenient location just a few minutes walk to the center and old town and two blocks from the beach. Fabio and the rest of the staff were super helpful and friendly. I hadn't thought to go back to Nice again but this hotel makes me want to go back soon!! Entirely renovated in June 2016 and located in Nice, this hotel is at 5 minutes from Nice-Ville Train Station and 10 minutes from the Promenade des Anglais by tram. I just love the feel of the hotel, such tranquility. The garden is lovely and wellkept. You have to eat breakfast there, so worth it! Great with aircondition and wi-fi connection is good because I could watch Netflix before going to sleep. Very clean. Closed to restaurant and convenient store. The tramstation is not far away, just about 2-3 min walk. If you don't mind walking to the city it's about 20 min away to Messina square. Best Western Alba is located in the heart of Nice, on the avenue Jean Medecin shopping street. Beds were very comfy. Room very quiet. Situated in the heart of Nice, on the Promenade des Anglais, Westminster Hotel & Spa features a spa, a private beach and seafront terrace. Extremely friendly staff, speaking English well. This hotel is set in central Nice, just 50 metres from Acropolis Exhibition Centre and a 5-minute walk from the Old Town. It offers air-conditioned rooms with Wi-Fi access and an on-site bar. Comfy beds meant a good night's sleep for all of us. Located in the centre of Nice overlooking the Promenade du Paillon, Hotel Aston La Scala features a rooftop terrace with an outdoor pool, a bar and panoramic views. We were very pleased with our stay in your hotel. Staff were all very friendly and helpful. The Esatitude is located 200 metres from Virgile Barel Tramway station, which provides access to central Nice. It offers rooms and suites, each with a private furnished terrace and free Wi-Fi. Location was good. Near public transport and with own carage. Spacious rooms. Helpful staff. Featuring a private garden, Hotel Durante is located in Nice. 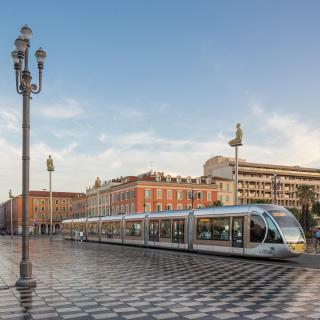 The property is a 5-minute walk from both Gare Thiers Tram Stop and Jean Médecin Avenue, Nice’s main shopping street. Staff SO accommodating. Beautiful place. Comfy sleep. Nothing to add. Offering a 24-hour front desk, Hotel Lafayette is located in Nice, 100 metres from Jean Médecin pedestrian street, 250 metres from Promenade du Paillon Park and 500 metres from Nice Old Town. The recption lady was very pleasant and helpful. Hotel des Dames is 100 metres from the Palais des Expositions and the Acropolis Centre. It is 300 metres from the old town and a short tram ride from the beach in Nice. Free WiFi is available. Friendly staff, small but nice rooms. Epitomizes the family hotel. This apart'hotel is situated in a lively pedestrian zone in Nice, 200 metres from Place Masséna, and only a 3-minute walk from the beach and the famous Promenade des Anglais. The instructions for arrival then the welcome was second to none. We even got an upgrade. Offering an on-site bar and an outdoor pool, ibis Styles Nice Aéroport Arenas hotel is located opposite the airport in the heart of the Arenas business district, just a 15-minute drive from the city... Excellent conditions at a reasonable price. Hôtel Univers is located in the heart of Nice, only 2 minutes' walk from Place Massena and 600 metres from the Promenade des Anglais. I liked this hotel. The only thing is it wasn't so spacious. Entirely renovated in June 2016 and located in Nice, this hotel is at 5 minutes from Nice-Ville Train Station and 10 minutes from the Promenade des Anglais by tram. I just love the feel of the hotel, such tranquility. The garden is lovely and wellkept. Located next to Jean-Médecin, the main shopping street in Nice, Hôtel Du Centre is just a 5-minute walk from Nice-Ville Train Station, and a 15-minute walk from both the Promenade des Anglais and the... Really nice large room and big bathroom! Just 300 metres from the Promenade des Anglais and the beach, Nice Garden Hotel offers air-conditioned rooms with free WiFi. Set in a 19th-century townhouse, it has a garden with orange trees. Super, everything is perfect. I highly recommemded and of course I will come back.. The famous Hotel Negresco, dating from the beginning of the 20th century, overlooks the beach and the Promenade des Anglais in Nice. we loved the art work and quirkiness of this hotel . Ideally located on Victor Hugo Boulevard, Hotel La Villa Nice Victor Hugo is right in the centre of Nice, a 15-minute walk from Vieux Nice District. I would recommend it to anyone interesed to staying here. What are the best hotels to stay in Nice? Hotel 64 Nice, Palais Saleya Boutique hôtel and Arome Hotel are some of the popular hotels in Nice. Which hotels in Nice are good for families? Many families visiting Nice loved staying at Arome Hotel, Hotel Villa Les Cygnes and Hotel Villa Rose. How much is a hotel in Nice for this weekend? The average price per night for a 3-star hotel in Nice this weekend is US$207 or, for a 4-star hotel, US$310. Looking for something even fancier? 5-star hotels in Nice for this weekend cost on average around US$451 per night (based on Booking.com prices). 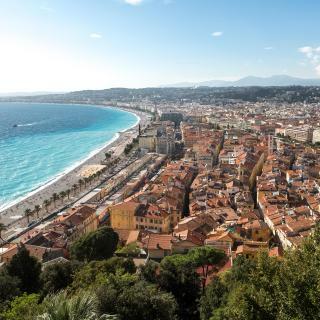 What is the best neighbourhood to stay in Nice? Promenade des Anglais, Nice Old Town and Nice Port are popular with other travellers visiting Nice. How much is a hotel in Nice for tonight? On average, it costs US$87 per night to book a 3-star hotel in Nice for tonight. You'll pay on average around US$124 if you choose to stay in a 4-star hotel tonight, while a 5-star hotel in Nice will cost around US$197 (based on Booking.com prices). How much does it cost to stay in a hotel in Nice? On average, 3-star hotels in Nice cost US$87 per night, and 4-star hotels in Nice are US$127 per night. If you're looking for something really special, a 5-star hotel in Nice can on average be found for US$275 per night (based on Booking.com prices). What hotels in Nice are good for couples? These hotels in Nice are highly rated by couples: Palais Saleya Boutique hôtel, Arome Hotel and Hotel Villa Les Cygnes. What are the best hotels in Nice near Nice Côte d'Azur Airport? Travellers who stayed in Nice near Nice Côte d'Azur Airport (NCE) have said good things about Campanile Nice Aéroport, Novotel Nice Arenas Aeroport and ibis budget Nice Aeroport. What hotels in Nice have nice views? Hotel Le Saint Paul, Westminster Hotel & Spa and Hotel Negresco have received great reviews from travellers in Nice regarding the views from their hotel rooms. What hotels in Nice offer an especially good breakfast? For hotels in Nice that serve up a highly-rated breakfast, try Hotel Villa Les Cygnes, Hotel 66 Nice and Hotel Villa Rose. 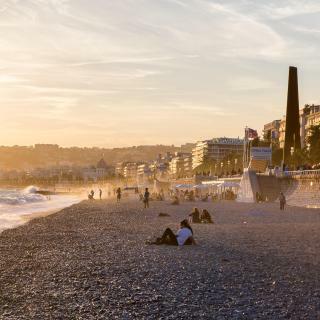 What are the best hotels in Nice near Promenade des Anglais? Some of the best hotels in Nice near Promenade des Anglais include Beautiful apartment by the sea front, Residence Le Copacabana and Les Dauphins. Since Queen Victoria made this her favourite vacation destination in the 19th century, everyone has been heading south to discover what is so nice. Nice doesn’t disappoint. 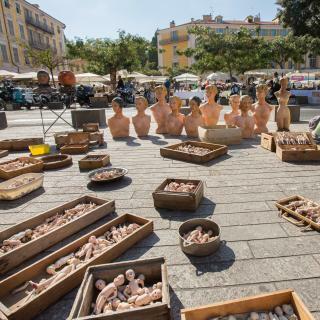 Whether you fly in to the Nice Côte d'Azur Airport or you’re on your way back on a ferry from Corsica or Italy, be sure to stroll along the famous pebble lined beach and enjoy the tantalising goods on offer from Cours Saleya Market. Climb the winding leafy path to the top of Parc de la Colline du Château and gaze down upon the expansive aquamarine dream that is the Côte d'Azur. Just behind this park is the famous Cimetière du Château, a haunting reminder of a bygone era. Masterful art of all eras is proudly hung in the Chagall Museum, Museum of Modern and Contemporary Art and Palais Lascaris. The cultural experience doesn’t end there, with archaeological museums and delightful churches like the Chapelle de la Miséricorde scattered throughout. 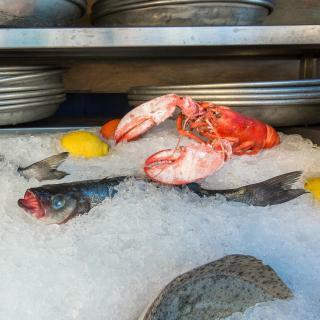 Treat yourself to fine dining and appreciate a glass of local wine in the old town before strolling back to one of hundreds of available hotels from Booking.com. Your vacation is sure to be “nice” in any of our accommodations! Nice was excellent - plenty to do and things to see. Nice was excellent - plenty to do and things to see. Weather was excellent and the locals were very friendly and helpful. Took a bus to Monaco which at the minute resembles a building site - so much work going on. We ate out each evening. Found a great Italian restaurant and the Hard Rock Cafe was excellent. We ate one night in a restaurant called Buffalo Grill - the food was awful - the worst steak i ever had - avoid at all costs. We plan to return next year. We stayed at the Hotel De France - it only has a two star rating but its as good as some three star hotels I have stayed in. It doesn't have a lift which is why its marked as 2*. The rooms were cleaned daily, had comfortable beds and were all air-conditioned - the staff on the desk were very friendly. We found a great cafe just three doors down and had breakfast there every morning - the lady owner spoke good english and the food was excellent. Beautiful City, easy to get around the attractions, easy to another cities around Nice, train station staffs and information central staff were very nice and helpful. My hotel's room was comfortable, bed and bathroom are very clean. For sure, I will revisit Nice with my friends again.
. Nice is the 5th largest city in France, but never overpowers the visitor. The people you encounter in hotels and restaurants are charming and take great pleasure in helping tourists enjoy their stay. Go to the same cafe or restaurant more than twice and they instantly recognise your face the next time. Nice offers a superb combination of different types of holiday. You can spend time at the beach, sunbathing, indulging in water sports. Alternatively you can wander round the old city, with its narrow streets crammed with fascinating little shops and cafes. There are many quaint little eccentricities to be unearthed : for example the boutique which sells only merchandise with a cat theme! In May the daytime temperature can reach 24/25, so the Old City is a great place to stay cool! Try the Place Massena for people watching. It is particularly fascinating at night. A lovely place to visit. We enjoyed our visits to the Musee des Beaux Arts and the Musee Massena, some fabulous restaurants and the seafront and old town. The Musee Matisse was in need of refurbishment and the staff were less than helpful. We had really looked forward to this and were disappointed. We were also deprived of most of our money by a pickpocket on the Number 15 bus. Our favourite restaurant is 11eme Art, rue Meyerbeer (the taster menu is especially good). We also enjoyed a lovely musical and pizza evening at Rosso Pomodoro in the old town. We stayed at the Negresco Hotel, which has a great, though rather expensive, bar with music most nights. Good place to stay if you like historic hotels. The location was superb, everything for a tourist stay in Nice was within short walking distance. Peter, on front desk, was so helpful, friendly and accommodating and overall most staff were great, best customer service we'd encountered throughout France thus far. The rooms were very clean and bathrooms exceptionally modern and well appointed. Whilst I put someone negatives down, the price was great, the location was unbeatable and we would stay here again and recommend it to other travellers on a short stay in Nice. It was refreshing to have some friendly French staff after our first few days of dealing with arrogant unhelpful people in Villefranche Sur Mer and around about the place...out of control stereo typical French style. We have been to France 4 times in the past 15 years and if it wasnt for the nice staff at Hotel Grimaldi I would have written off France for good. 4 nights in our stopover through France..two nights were great in Nice. Great place to stay, a garden design villa/hotel, nice staff, super clean, good breakfast served in the garden or inside. The beds are really comfortable, and the rooms are nice with balcony. It is not in the old town but it is close, it is located in the residential area, you can take the bus or a taxi. If you have the car you can park easily outside or in the hotel parking. I will definitely come back. I spent 6 nights at Hotel Florence Nice. The staff was very friendly and helpful. Breakfast was wonderful and healthy, but after day 4 there was no variety, as I tried all. Although, I do appreciate the fact that breakfast was until 11am, so I could sleep in. The room was cleaned every day and the location was perfect in central Nice, right off the main shopping street Avenue Jean Medicine. The hotel couldn't be more perfectly located, in a beautiful part of the old town, within walking distance to all major parts of Nice. Also fantastic transport links if you're looking to venture a bit further. Staff were very friendly and helpful. The hotel room itself was gorgeous, typical French chic with modern facilities. Incredible value for money! Balcony was as large as our room with views of the hills above Nice and out into the Mediterranean Sea. Our parking was able to be prebooked and accessed via hotel elevator in Ruhl Meridian parking lot - very important as we were visiting for Carnival! Rooftop bar was a classic for watching the sunset. The hotel has a perfect location in central Nice near the train station and the bus to the airport. The Old Town is some 15 min walking distance away. The staff was very helpful and friendly. The breakfast buffet was tasty. All in all very pleasant stay! Reception staff were very helpful and friendly. We even got advice from the bicycle police on where we might park - very efficient. Brilliant hotel, well priced and excellent location for Nice Old Town. Great location- close to the beach, train station and in very nice neighbourhood. Beautifull garden, nice building and friendly people in hotel. Courteous, helpful staff. Close to the Old Town. 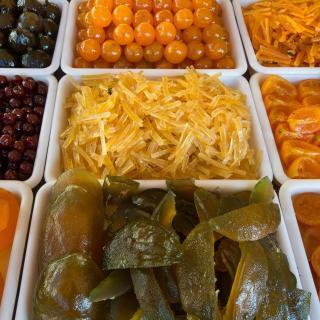 Great variety at breakfast buffet. Modern room. Nice restaurants and bars all around the hotel. In central Nice and bang on the beach. They helped us with a car rental as well and the hotel room had all the facilities that one needed. Nice clean modern spacious rooms. Quiet, Modern AC. In general very good hotel with two exceptions: see cons. The hotel bar was great! Nice pool and amazing roof terrace. Cute courtyard too! we loved the art work and quirkiness of this hotel . It was an absolute pleasure staying at Negresco .